With much gratitude I am ready to finish this first year of Expressly Italian. My deepest appreciation for all the support and assistance from all of you this year to help get this project off the ground. It has been a great challenge; both exciting and fulfilling. While there are still many questions and lots of avenues to pursue to achieve my goals, it has been so satisfying and fun. I hope you are enjoying traveling with me and will continue to do so in the coming year. I wish you all a joyous holiday season and the happiest 2015 possible. I’m expecting Le Befana right after January 1st! 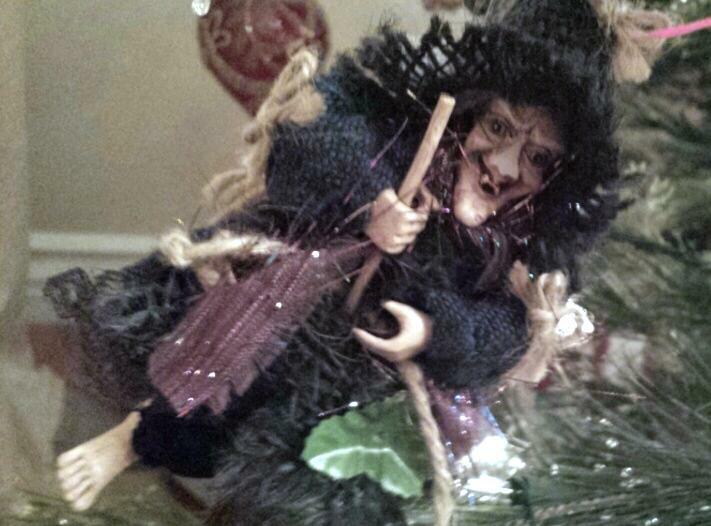 Do you know Le Befana? La Befana has been an Italian tradition since the XIII century and comes from Christian legend rather than popular culture. The story is that la Befana was approached by the Three Wise Men who asked her to lead them to the stable where the baby Jesus lay in a manger. La Befana was too busy cleaning her house at the time, so she declined the offer to go with them. Very soon she realized that she had made a huge mistake, so she gathered up a bag full of gifts and set off alone in search of the baby Jesus. Though she followed the same star as the Magi, she was unable to find the stable. Undaunted, la Befana continues to travel the world over to this day searching every house for the Christ child. On January 6, the first day of Epiphany, Italian children hold their breaths as they search their stockings for a sign that they have been good that year. The arrival of la Befana is celebrated with traditional Italian foods such as panettone (a Christmas cake) and marks the end of the long and festive holiday season in Italy.